PRALINE MIXTURE OF WHITE, DARK AND MILK CHOCOLATE, FILLED WITH BAILEYS THE ORIGINAL IRISH CREAM LIQUEUR AND A DULCE DE LECH, BUTTERSCOTCH, COFFEE, CARAMEL OR HAZELNUT CREAM. 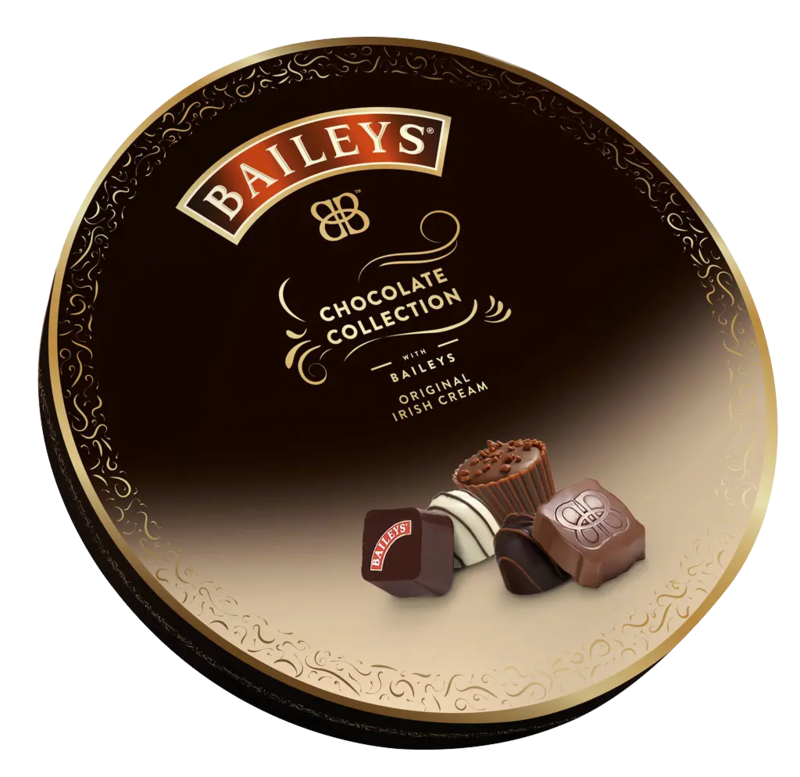 Baileys Chocolate Collection is a 'round' blend of white, dark or milk chocolate with Bailey's Original Irish Cream liqueur filling around one of 5 tasty kernels. Whether creamy Dulce de Leche, full-flavored butterscotch, fine-bodied coffee, sweet caramel or fine hazelnut cream - experience how the different aromas of crunchy chocolate and delicate melting fillings blend into unique taste compositions in your mouth enchant. Give the noble selection of chocolates to gourmets or treat yourself to delicious chocolate moments.